Potty training can be intimidating but it doesn't have to be. In this seminar you will learn signs to look for that your child is ready to be potty trained. We will talk about issues that may arise with potty training before a child is both physically and emotionally ready. There will be plenty of time for questions and concrete useful answers. 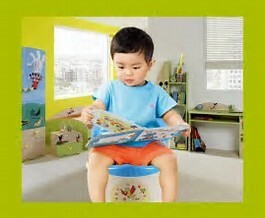 You will go home feeling more confident in the potty training process.